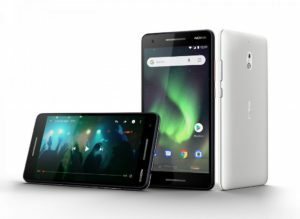 HMD Global yesterday announced the release of the Nokia 5.1, the Nokia 3.1 and the Nokia 2.1 in India. Heres the official spec sheet of the devices. The Nokia 5.1 is powered by a MediaTek P18 chipset, an octa-core chipset with each core clocked at 2.0 GHz. The device comes with 3GB of memory and 32 GB of storage. It comes with support for memory cards up to 128 GB. The display is graced with a 5.5- inch Full- HD+ 18:9 display with a resolution of 2160×1080. On the software front, the device is a part of Android One programme implying that it would be getting two years of OS updates and three years of security updates at least. 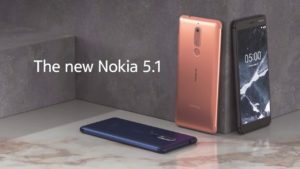 Like the previous generation Nokia 5, the device is made from a single sheet of 6000 series anodized Aluminium giving it premium looks and feels. The back camera and the dual tone LED flash is in a vertical setup at the back with a fingerprint sensor under them. The back camera is a 16MP PDAF snapper while the front one os an 8MP one. 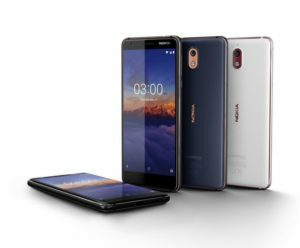 The Nokia 3.1 is powered by a MediaTek MT6750N octa-core SoC with each core clocked ta 1.5 GHz. For the Indian consumers, the device comes with 3GB of memory and 16GB of storage. The display is a 5.2 inch one with an 18:9 aspect ratio and a resolution of 720×1440 HD+. The Nokia 3.1 is also a part of the Android One programme giving it, just like the Nokia 5.1 minimum two years of software updates and three years of security updates. The back camera and the LED flash are also housed in a vertical arrangement. The back snapper is a 13MP f/2 one while the front sensor is an 8MP FF f.2 one with an 84.6 degree Field of view. The Nokia 3.1 lacks a fingerprint sensor. Powered by a quad-core 1.4 GHz Qualcomm Snapdragon 425 SoC, the Nokia 2.1 is the most budget-friendly device released by HMD Global yesterday. It has a 5.5-inch display with an aspect ratio of 16:9 and a resolution of 720p (HD). 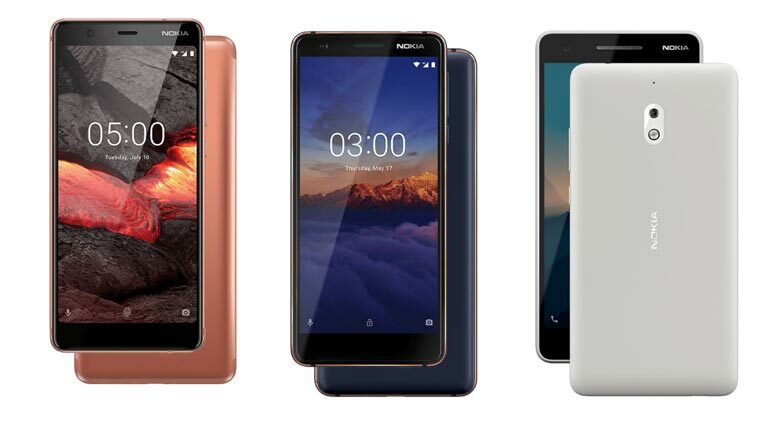 The Nokia 2.1 is an Android Oreo Go edition device meaning it comes with a stripped down version of the Android OS and popular apps. The device has 1GB of memory and 8GB of storage. In a vertical housing, are housed an 8MP AF camera and LED flash at the back while a 5MP FF camera is equipped at the front.